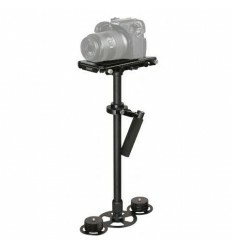 The CG-C4 mobile rig (Camera Cage) is designed specifically for the Blackmagic cinema camera but is also suitable for other cameras. The rig is made of aluminum is lightweight, still strong and has a durable construction and therefore provides protection for your camera. The handlefits comfortably in your hand and is affixed to the top of the rig. 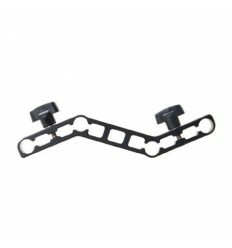 The plate of the Camera Cage is specially designed for the Blackmagic cinema camera so that the features of the camera are not blocked when they are placed in the camera cage. 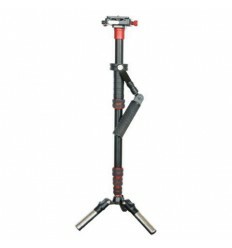 The CG-C4 mobile rig has two 15mm rods. and can therefore be combined with a camera rig from Falcon eyes, the 1/4'' and 3/8'' thread on the bottom makes it possible to mount the rig on to a tripod. For other options see the optional accessories below. This mobile rig comes with a set of Allen keys to put the rig together. 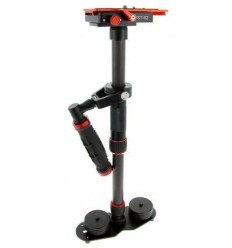 This camera cage allows you to stabilize the camera during movements and makes the recordings more smoother. 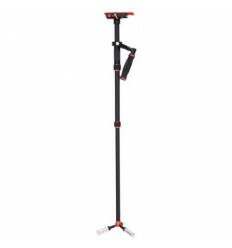 The camera cage reduces shock and shaking in moving when recording while skiing, skateboarding, boating or riding over rugged terrain etc. 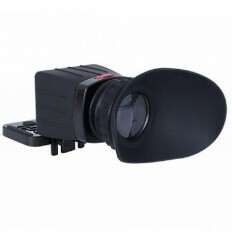 The ergonomic handle makes it possible to make low-angle shots.